OCEAN KAYAKING is a great way to slip away from the crowds and get lost in the irresistible tug of nature. Whether you RENT A KAYAK to go or BOOK A GUIDED TOUR with an activity company, expect to move through some of the island’s most-inviting seascapes and abundant marine life. It’s possible to rent oneor two-person kayaks ranging from a wide, virtually untippable watercraft to sleek fiberglass racing models. Rentals usually come equipped with soft racks designed for any vehicle and are able to handle up to three kayaks at a time. Another option is a jet-powered kayak that speeds over the water at 15 miles per hour. 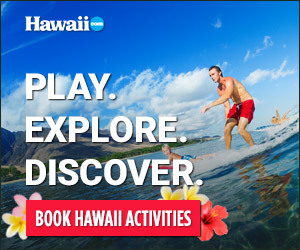 These excursions begin at Puako Bay. Guided tours range from a lazy paddle along the North Kohala Coast to more adventurous tours on the South Kona coast, where sea caves and secluded beaches prevail.